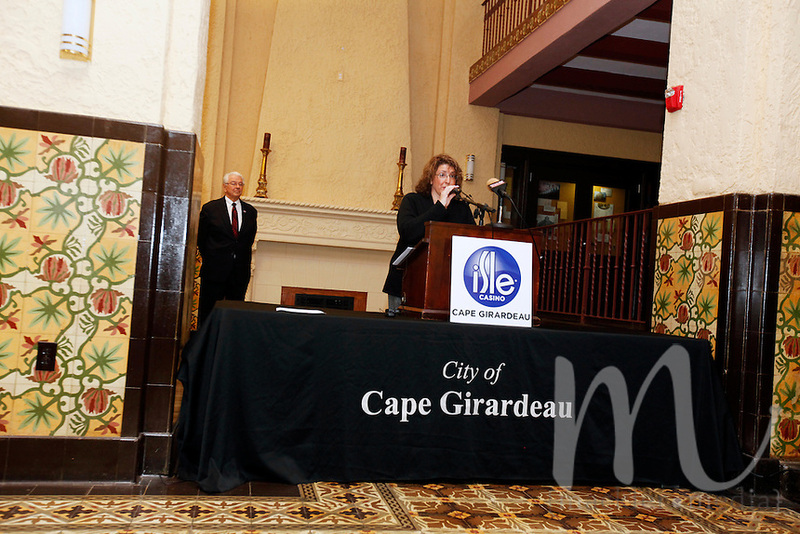 Jill Alexander, Senior Director of Corporate Communication at Isle of Capri Casinos, speaks inside the Marquette Tower and Hotel on Monday, Nov. 21, 2011 in Cape Girardeau, Mo. Isle announced the appointment of Chet Koch as vice president and general manager of Isle Casino Cape Girardeau, effective January 2, 2012. Isle Casino Cape Girardeau has also secured temporary office space at the Marquette Hotel Tower located on Broadway in downtown Cape Girardeau.